We were brought on to jumpstart Carolyn Long’s digital fundraising in September 2018. 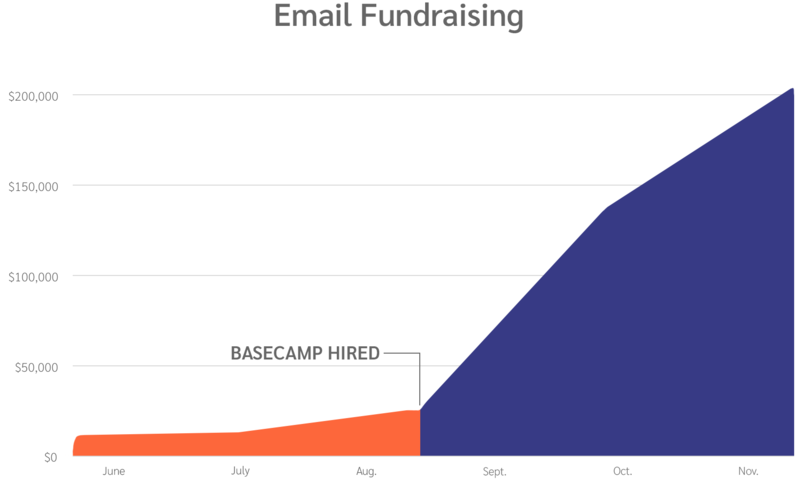 Carolyn was raising steady money online—in the preceding month, she’d raised $30,136 over email. 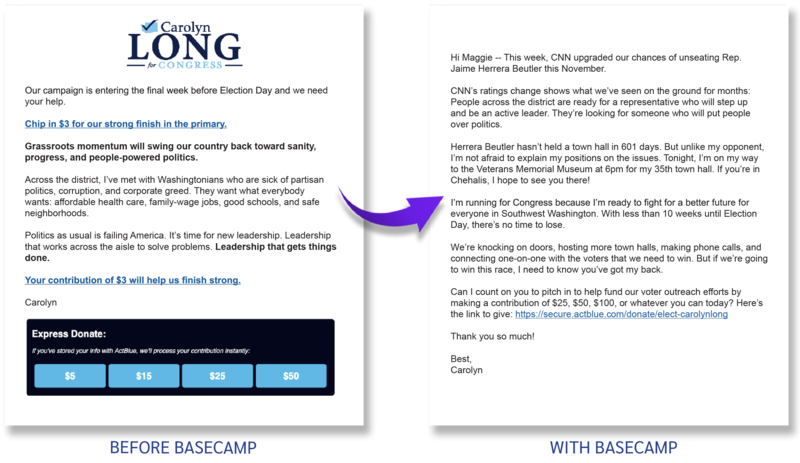 But we reviewed her content and results, and saw that her previous firm had been sending generic content that in no way reflected Carolyn’s character or the work she was doing on the ground in WA-03. We knew there was big money being left on the table. When we took over, we ran toward all of the reasons people were excited about Carolyn’s campaign. We got rid of the gimmicks, built her message around her field work and engagement with her district, and fundraising skyrocketed. With our first 5 emails, we raised Carolyn Long $45,611—more than her previous firm raised in an entire month. In our first month, we raised a total of $135,326 and then went on to raise another $201,927 over email from October through November 6. Telling MJ Hegar's kickass story online raised her $500,000 in the final stretch.